Please read the enclosed leaflet before using this product. 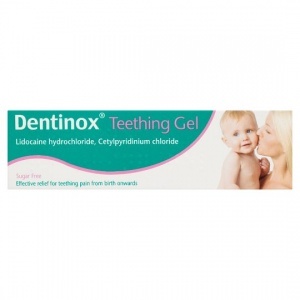 Put a small amount of gel on a clean fingertip or cotton wool pad and rub gently onto baby's gums. Repeat after 20 minutes if necessary. Use when necessary during baby's teething period.